Lorna Doone was written 140 years ago, and is set 340 years in the past. Its pace and style is very different to that of a modern novel. It is gentle and slow, and even a little ponderous in places. The thread of adventure weaves through the story, and there are moments of personal danger and daring to take our breath away. But our narrator is somewhat self-indulgent, and happily allows himself to wander down the more tangential pathways of memory. He provides us with lyrical descriptions of side-stories and backdrops, when what we really want is to get back to the exploits of our heroic young couple and how they will vanquish the dastardly Doones. The novel requires us to be patient. Our narrator has an excellent tale to tell, but he tells it at his own pace. We have to adjust our expectations and bear with him. Blackmore was a product of the Romantic Age, and his prose may seem overly sentimental in places to the modern reader. John, in the rapture of new love, is rather prone to gushing. His fearlessness in pursuit of his love feels rather like recklessness at times. But he is after all a huge, strong man, confident of his ability to prevail against all comers, and we can’t help admiring him for it. There is also the absence of any authority to whom those who have been wronged may turn. 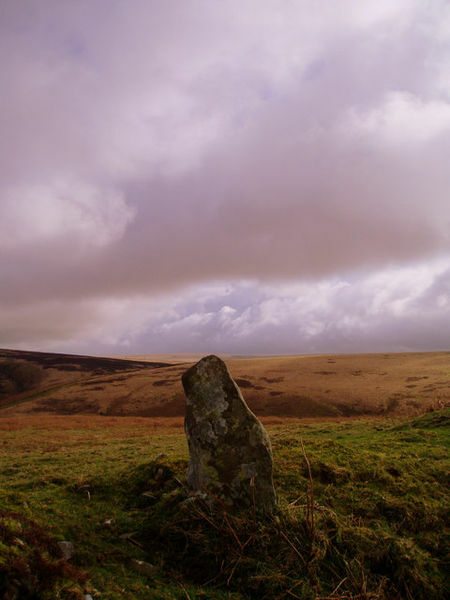 Short of persuading the neighbourhood’s farmers and ploughboys to take up arms and rise against the Doones, at huge personal risk, the people of Exmoor have little choice but to get along as best they can with their tormentors, while the threat to their lives and homes remains ever present. Indeed, they are even willing to leave offerings at the Doone Gate, in the hope that violent attacks may thus be made less frequent. And then there is John’s rather condescending attitude toward women. He casually observes on several occasions that they are “the weaker vessels”, and that it is best to limit their opportunities for independent thought. Despite being only a few years older than his sisters, as the man of the house he is able to order them about, chastise them and at times even bully them. In his favour, however, John is clearly deeply committed to the support and care of his mother and sisters, and indeed to Lorna. But his attitudes are inevitably shaped by the time, in which the best a woman could hope for was to make a good marriage and have lots of children. Lizzie, in her disdain for romance and her love of books, is indeed rather revolutionary for a country girl. The novel is set against the historical backdrop of the last years of King Charles II’s reign, the tensions between Catholic and Protestant, Court and country, the short-lived Monmouth rebellion, and the beginning of the reign of King James II. This history is intricately woven into the novel. Kings, judges, courtiers and revolutionaries bump up against John Ridd and company. Our fictional heroes and villains take part in real battles and political intrigues. There are several ironic references to historical people and events. While a reader well versed in the history of 1600s England would catch the references, the rest of us might not. While this doesn’t necessarily detract from the novel, we do sometimes miss the cleverness and wit with which certain events are alluded to. In spite of the venerable age of the book, and the very different period in which it is set, Lorna Doone nonetheless remains an easy and entertaining read. It is a tale of adventure, star-crossed love, and the struggle of a good man against evil, that is timelessly appealing. It provides an opportunity to escape entirely to a time long since vanished from the world, where the pace of life is no quicker than the fastest King’s messenger, honour is everything, and a strong man is able to take charge of his fate and triumph over seemingly impossible odds. This entry was posted in Book Reviews and tagged books, classics, Devon, literature, R.D. Blackmoore, www.boodrum.com. Bookmark the permalink.